How often do you find yourself throwing everything on the floor when you enter your home? 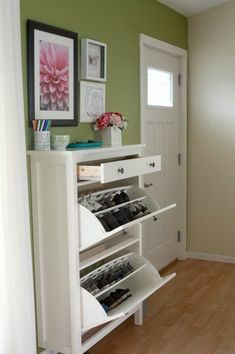 It’s a common problem, but keep reading and you’ll soon have many ideas for organizing that pesky, cluttered entryway! Place a mat on both sides of the door. 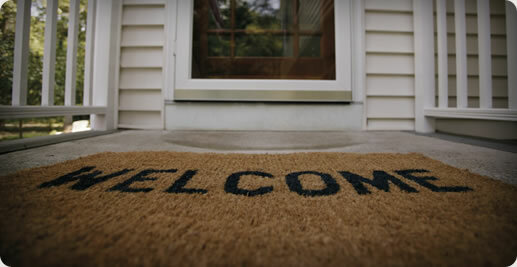 A welcome mat will give people a place to wipe their feet on the outside and a mat to take their shoes off on the inside so no amount of water, mud, or snow will ruin your clean home. Keep things off the floor with over-the-door hangers. These are great for coats, scarves, dog leashes, backpacks, and anything else you find that hangs. Hanging everything will take the clutter off the floor and put it behind the door. Give everyone a destination zone with baskets labelled with their name and color. A destination zone is a home for all the little items a person brings in: change, keys, pencils, notes to be signed, mail, and much more. You can also make a basket just for mail, and another for a first-aid kit, which should always be kept near the entry way in case of an injury while the kids (or spouse) are playing. 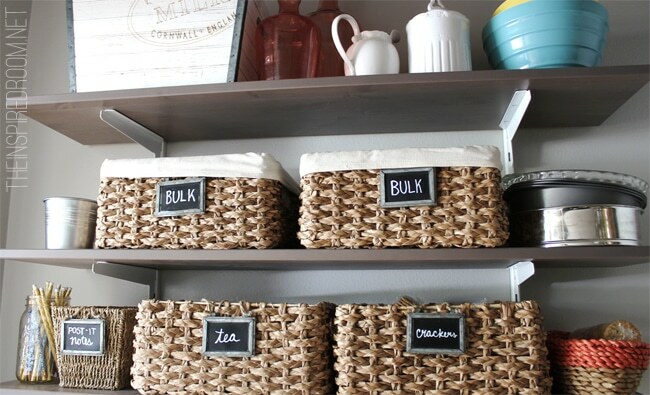 Keep baskets organized on a shelving unit. Keeping the baskets up on furniture instead of down on the floor will maintain the decluttered, clean-lined look of the entryway. Put kids’ baskets down lower and adults’ baskets up higher, with shared baskets such as mail and first-aid in the middle. Put a shoe rack next to the door, preferably one with two rows, one for outside shoes and one for slippers. This way, people can smoothly transition from outdoor footwear to indoor footwear without traversing the entire home to get the slippers that are under their bed. A shoe rack looks clean and organized and, with a catch-all under it, it’ll keep your flooring from getting wet or muddy. Browse Ethnicraft shoe rack here. Next to the rack, place a storage bench where people can sit to take their shoes off and put them back on. The storage is important, as that’s where sports gear and outside toys go. 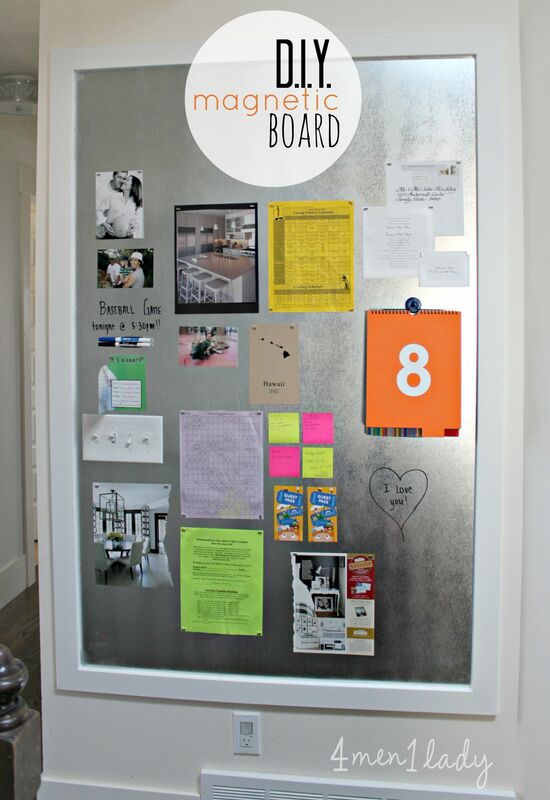 Hang a memo board beside the door to give everyone a place to leave notes as they head out. If your spouse is running over to the neighbor’s house, for instance, he can jot a quick note and not worry that you will fret. This memo board can be made of corkboard, a chalkboard, or a dry-erase board. With these simple additions to your entryway, the area will look happier, healthier, and less cluttered! Don’t have room for all of this? Implement a few essentials, like the memo board and shoe rack, and take advantage of wall and door space with the over-the-door hangers and perhaps a floating bookshelf over a small bench. Get creative, but don’t let it stay cluttered!